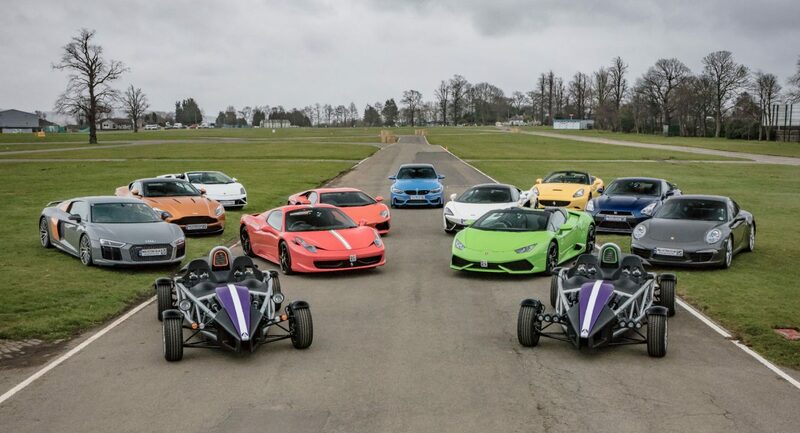 Ingliston Driving Experiences (IDE), and has over 40 years’ cumulative experience in Supercar Driving Events and is delighted to offer you driving experiences of the highest quality. We are here to help you have a fun, safe, exciting and memorable time with us in pleasant surroundings. The following Terms & Conditions (together with such other terms, conditions and notices) as maybe set out in the IDE Website apply to all sales by IDE. It is the intention of IDE that all terms between it and the Buyer are contained in the Conditions. No alteration to the Terms & Conditions will be binding unless accepted by IDE in writing. The Conditions are subject to amendment by IDE provided it is reasonable for it to do so by the posting on IDE Website prior to the sale. “Beneficiary” means the person for whom the Experience or Open Voucher has been purchased by the Buyer. “Buyer” means the person purchasing the Voucher from IDE. “Cancellation Scheme Cover” means the scheme operated by IDE whereby the experience date may be changed once, without further charge. “Event of Force Majeure” means an act of God including but not limited to rain, snow, fire, flood, earthquake, windstorm or other natural disaster; act of any sovereign including but not limited to war, invasion, act of foreign enemies, hostilities (whether war be declared or not), civil war, rebellion, revolution, insurrection, military or usurped power or confiscation, nationalisation, requisition, destruction or damage to property by or under the order of any government or public or local authority or imposition of government sanction embargo or similar action; law, judgment, order, decree, embargo, blockade, labour dispute including but not limited to strike, lockout or boycott; interruption or failure of utility service including but not limited to electric power, gas, water or telephone service; failure of the transportation of any personnel equipment, machinery supply or material required IDE for its performance of the contract; breach of contract by any essential personnel; any other matter or cause beyond the control of IDE. IDE means Ingliston Driving Experiences which is a trading name of APH(uk) Limited (Company Registration Number: 08926658 – Registered Vat Number: 181953974) whose registered office is at: Cathedral House 5, Beacon Street, Lichfield, Staffordshire, WS13 7AA. “Experience” means the driving experience supplied by IDE to the Buyer for the benefit of the Participant. “Experience Date” means a date nominated by the Participant for the fulfilment of the Voucher within the term of the Voucher. “Experience Voucher” means a voucher for a designated Experience. “Open Voucher” means a voucher for an Experience to drive a supercar to be nominated by the Participant, usually, but not exclusively, chosen on the day of the chosen event. “Participant” means either the Buyer or Beneficiary. “VAT” is not applied to Collision Damage Waiver Insurance or the Cancellation Cover Waiver scheme. “Collision Damage Waiver Insurance” means the scheme operated by Supercar Drive Days whereby the Participant may reduce his liability to meet the excess for any damage caused to Supercar Drive Days vehicles. All vouchers are normally sent by automatic e-mail up-on purchasing. Vouchers are not posted to our Customers unless a specific gift voucher is purchased via our website or call centre. Experience Vouchers have an expiry date of 12 months from the date of purchase in which time the Participant must undertake the Experience. The voucher expiry date can be extended for 3 months for a cost of £30.00 administration fee. The Experience must be undertaken by the Participant within the terms of the Experience Voucher (whether extended or not). The Buyer can cancel the contract with IDE and request a refund within 14 days of the of purchase. After this time no refunds will be given in any circumstances. To cancel the contract the Buyer will need to send a letter to IDE, which can be sent by post, or email. If the contract is cancelled orally, the buyer will need to confirm the oral cancellation in writing and send it to IDE by one of the specified means. The above only applies to the purchase being made through IDE. All other vouchers purchased through Buyagift Ltd, Virgin Ltd and other sellers the purchaser will have to contact them directly. The majority of IDE events are operated from March to November. You must attend your driving experience in these months but the office is open all year for bookings, 7 days a week. You must take part in your driving experience within these months and it must be booked and taken before the expiry date of your voucher. This may involve having to reschedule the date, or timing, possibly at short notice, owing to availability, booking numbers (minimum and maximum), safety, technical problems or other factors beyond our control. We cannot be held liable for any costs incurred in any of these circumstances. We will try to provide an experience, at the same location or other alternatives wherever possible. In the unlikely event that an alternative cannot or is not offered, a full refund will be available at the discretion of IDE. Similarly, we reserve the right to withdraw supply of a gift without notice due to unavailability or discontinuance of a product line. Once you have booked your date we reserve your place, if you then choose to cancel, you will be in breach of contract, IDE reserve the right to retain all monies paid if the rescheduling admin fee is not paid. (Please see below Cancellation Scheme cover). IMPORTANT The driver on the day must bring their driving license, gift voucher and their confirmation, without these you may not be able to take part. Directions to the event are sent out as assistance only and customers are asked to plan their journeys carefully. IDE is not responsible for customers getting to the venue. Once the Participant has selected and booked the Experience Date the Participant may change the date subject to paying IDE a £30 administration fee. The above shall not operate where the Buyer has taken up Cancellation Scheme Cover (see below). From time to time some of our experiences may have to be cancelled or suspended due to adverse weather conditions, reasons beyond our control or very occasionally mechanical breakdown. Where this is a possibility, for example in the case of certain driving experiences every effort will be made to contact you and /or offer an alternative on the day or re-book the experience at the next available date or venue. IDE will not be responsible for any accommodation, travel or incidental expenses incurred by customers and every effort will be made on the day for your event to continue. Once you have booked your experience you are bound by the relevant supplier’s terms and conditions and these will be implemented and adhered to at all time. From time to time there may be situations that are out of our control, we cannot pay compensation, damages, expenses, costs, losses or any other amount of any description or otherwise accept responsibility for you not being able to attend. No refunds will be issued. This information can be found in the confirmation we send you before the event. Cancellation cover is £10 and must be paid for separately within 7 days of purchase of your driving voucher. This can be requested from our Customer Advisors on 0131 370 0477. This cover will allow you to change any aspect of your booking including name, time or date once for free, up to and including cancellation/changes on the day for any reason whatsoever. The cancellation request will only be honoured within the voucher’s validity period. The cancellation scheme cover only covers the participant taking part in the event and not the gift voucher itself. If the cancellation cover is not purchased any changes to the date, time or driver will be subject to a £30 amendment fee. Participants shorter than 1.5 metres (approx. 5′) or taller than 1.9 metres (approx. 6′ 6″) and/or weighing more than 120 kg (approx. 19 stone) may have difficulty being accommodated. It is for the buyer to be satisfied both at the time of purchase and on the Experience Date that the Participant can undertake the Experience. No refund will be given. Given the nature of the Experience will involve some personal risk; the Participant will be required to sign a disclaimer before undertaking the Experience. In the interests of safety, IDE, reserves the right to refuse the Participant from either commencing the experience or stopping the experience part way through if any of its instructors consider that the Participant is intoxicated through drink or drugs, lacks adequate ability or understanding of the English language. IDE requires all customers to complete an indemnity waiver form on the day of their event prior to commencing their activity. This is completed by signing the relevant indemnity form. With few exceptions, all our experiences involve some element of risk and danger. This is what creates the excitement and the thrill. Every customer is covered by our standard public liability insurance. You may wish to take out additional cover over and above that provided. Accordingly you are advised to consider insurance cover for personal accident, loss of limb and even death or indemnity insurance for damage caused to any vehicles on your event before embarking on your experience. You are familiar with the nature of the activity and that you wish to undertake and accept that, despite IDE taking all reasonable precautions, damage or injury may occur. You accept these risks and take part in the activity at your own risk. You will be accompanied at all times by a suitably trained and qualified instructor and you will wear seat belts or harnesses at all times whilst in a vehicle. Neither IDE or its associated companies (or any of their respective employees or officers), any instructors or other participants (each a “Relevant Person”) shall be liable for any injury, loss, damage, claims, costs, expenses, or demands suffered directly or indirectly as a consequence of your attendance at, or participation in, this activity. IDE and associated companies may take photographs and/or video footage of you during this event and may use such photographs or footage (including my likeness and image) for future promotional, marketing and publicity purposes in any media worldwide without notice or payment. IDE is not responsible for any risks not specifically covered by its own insurance and on arrival at your venue you will be asked to sign a driver’s indemnity covering some or all of the points above. If you fail to sign the indemnity you will not be allowed to drive at the event and you will forfeit your voucher and all monies paid. No refunds will be given. Passengers will also be expected to sign an indemnity form. The Buyer/participant is liable for the first £2,500 plus VAT of any damage beyond normal wear and tear to each and every vehicle or other item of equipment supplied for the Experience by IDE, arising out of any act or omission of the Participant. The Buyer/participant shall not be liable for any costs under the terms where the Participant has opted to take out Collision Damage Insurance cover. Notwithstanding having opted to take out Collision Damage Insurance, where the cause of the damage arises as a result of the Buyer/Participant’s Deliberate or Reckless action the Buyer/participant shall remain liable under the terms. The Buyer/participant shall be additionally liable for any damage to the track not owned by IDE, as a result of the Buyer/Participant’s Deliberate, Negligent or Reckless actions whilst participating in an Event. IDE offers an Excess damage Insurance which is available by paying a fee of £30. IDE ask you to agree that should there be any damage whatsoever to any of the vehicles you drive, by purchasing the damage Insurance cover, you will not have to pay the first £2500 +VAT of damage as stated on the signing in sheet for your experience. The collision damage Insurance Cover is void if found to be driving negligently/dangerously or not listening to the instructors instructions. (Collision Damage Insurance cover is not subject to Vat). IDE, reserves the right to make changes to the Experience content without notification. Session lengths are given as an indication only and IDE will not be responsible for any increase or decrease in session length as the Participant may be sharing the circuit and/or vehicle with other Clients. IDE, cannot be held liable for any costs incurred in these circumstances. Unless stated otherwise you will usually be taking turns with other customers and there may be waiting time involved. We do our best to try and keep these to a minimum by having staggered arrival times for our Customers, however some days, times, venues and cars are busier than others and all times given are just an indication. In the unlikely event that an Experience cannot be completed for whatever reason, compensation in the form of alternative dates/extra drives will be at the discretion of IDE. No refunds will be given in this case. The images of vehicles and specifications contained in this website are for illustrative purposes only. IDE may supply variants of the models illustrated in this brochure on the Experience Date to fulfil the Experience. IDE, reserves the right to amend the information or prices relating to the products in this brochure without notice. IDE shall be entitled by notice to the Participant to suspend the Experience and the (performance of the agreement) if an Event of Force Majeure shall prevent IDE from offering the Experience. Any concession or latitude allowed IDE shall not affect IDE rights under or release the Seller to the Buyer from liability in respect of the Conditions. No part of this site may be reproduced or transmitted in any form or by any means, or stored in any retrieval system of any nature without the prior written permission, except for permitted fair dealing under the Copyright, Designs and Patents Act 1988, or in accordance with the terms of a license under the Copyright Licensing Agency in respect of photocopying and/or reprographic reproduction. Application for permission for other use of copyright material including permission to reproduce extracts in other published works shall be made Ingliston driving Events. Full acknowledgement of Supercar Drive days Ltd, its advertising agency, solicitors and source must be given. Material is contained in this publication for which publishing permission has been sought, and for which copyright is acknowledged. Permission to reproduce such material cannot be granted by Ingliston driving Events. and application must be made to the copyright holder. INGLISTON DRIVING EVENTS is a trading name of APH(UK) LIMITED – Company Registration Number: 08926658 under English Law.